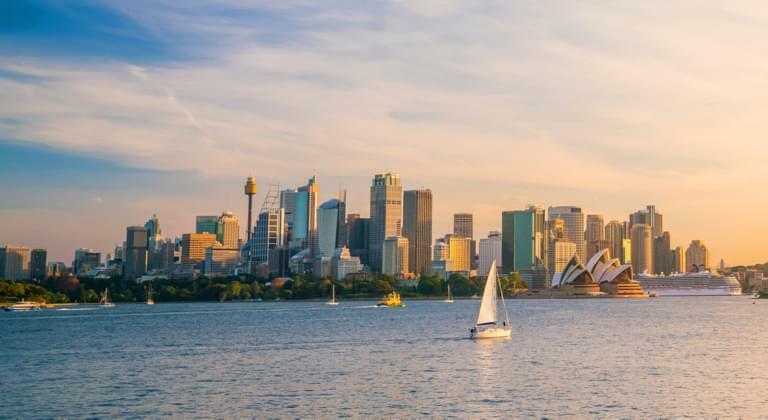 Drive directly from Sydney SYD Airport to Sydney metropolis and the rest of Australia. Before you start, have a look at Driveboo to compare the various offers and available rental cars from home and then simply book them online. The airport is the largest in the country and therefore has a high passenger volume. For this reason, it is advisable to make a reservation in advance by making an online booking in order to take advantage of the best prices and a wide selection of rental vehicles. Where can I pick up my rental car at Sydney Airport? Sydney Airport's many car hire companies are located in the arrivals area of Terminal T1, the international terminal. After you have settled the formalities and received the key for your rental car, you will be directed to your vehicle in one of the attached car parks. When returning your rental car, you can park it in one of the 3 terminals on the designated parking spaces for rental cars. Please follow the signs and follow the signs. What are the conditions for booking a rental car? Please note the different conditions when booking your rental car. Some suppliers offer comprehensive insurance with or without excess, have mileage limits or unlimited mileage and one or more registered additional drivers. They should not ignore the tank regulations either, but here most rental companies offer a so-called "fair tank regulation", which means that they get their car with a full tank and bring it back. Sydney Airport (SYD) is only 9km from downtown Sydney and the city centre and other suburbs are easily accessible by rental car. Sydney's commercial center, CBD or Central Business District is located approximately 13 km north of the airport and on the M1 motorway. Please note that traffic jams are often to be expected on this road during rush hours and plan this into your journey accordingly. The M5 motorway connects the airport to the suburbs in the southwest of Sydney and continues to Canberra and Melbourne. The M5 motorway has to be tolled in a westerly direction from the Kingsgrove Road exit.. The airport's terminals are very crowded, especially during the mornings and evenings peak hours, which affects both arriving passengers by plane and passengers travelling by car to the airport. Especially during the morning rush hour you will have enough time for your journey. Because the airport is located in the middle of the city centre and next to residential areas, there is a night landing ban from 23 - 5:30 o' clock. The two terminals T2 and T3 for domestic flights therefore close after 11 pm. The international terminal T1 also closes at 11 pm and will not open until 4 am tomorrow. There is a small transit area in level 1 near the entrance to the station. However, this area offers only a few seats and fills up very quickly with passengers when the airport closes. The last train leaves the airport at 23:45 for Sydney. Alternatively, you can stay in a hotel directly at Terminal 1, in other hotels in the vicinity of the airport or use the lounges of the various airlines, which can be used for business and first class or for a fee.